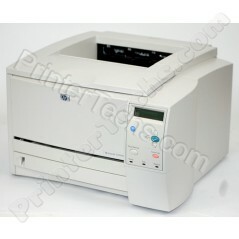 The HP LaserJet 2300 is a great small workgroup or personal laser printer. The two-line control panel display allows you to view printer settings and resolve issues quickly. This model includes a 250-sheet paper tray & 32MB RAM. 16.2" x 17.7" x 10.2"